Beer Talk: Elusive Ultrahops "Vienna!" This unfined, unfiltered “Vienna pale ale” pours a murky amber color. Unhelpful appearance apart, though, it is a striking beer, loaded with flavor as it combines Vienna malt character with the zing of Ultra and other blended hops. The aroma has an orange fruitiness on top of caramel, then the taste bursts with zesty citrus and tart plum notes. It’s sweet up front but quickly turns bitter, thanks to the pithy hops that outpoint the soft caramel and gentle toast of the malt. It’s a full-on drinking experience that ends dry, bitter, pithy and toasted. Jeff Evans is author of the Good Bottled Beer Guide, The Book of Beer Knowledge, Beer Lover's Britain and So You Want to Be a Beer Expert? More of his writing can be found at insidebeer.com. There’s some curious history here—the brewery calls the 4.9% bottle-conditioned beer an American Vienna Pale Ale, whereas the original Austrian style was an amber lager. Leave that aside; this is a beer with a red/bronze color that pours with a big fluffy collar of foam and has a delightful aroma of orange/tangerine fruit, a grain note like freshly baked bread and leafy hops. 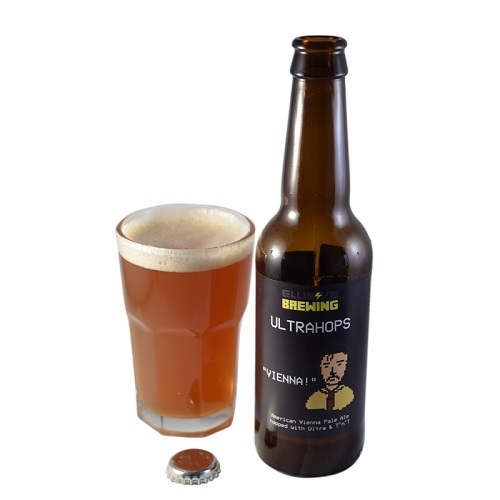 Ultra and T’n’T hops build in the mouth with chewy grain and tangy fruit. There’s a fine balance in the finish of creamy malt, sharp fruit and bitter, spicy hops. Roger Protz is the author of 300 Beers to Try Before You Die and 300 More Beers to Try Before You Die. Respected beer authority and editor of the CAMRA Good Beer Guide and protzonbeer.co.uk.